The ‘Waterwurm’ as famously known, was one of the very first enclosed 100 meter super tubes build in South Africa by the Steyn family. 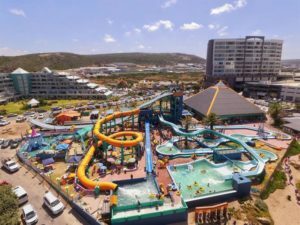 Today this incredible fast track water slide is located at Diaz, Beach being managed by Dirk Steyn. They offer a variety of indoor and outdoor slides making this a great all weather activity. The heated indoor pool will chase away any rainy day blues as well. Follow them on Facebook for their events aimed at teenagers and family fun days! 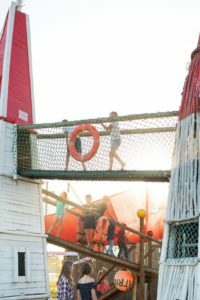 From tiny tots to teenagers, this adventure park has something for everyone, ranging from a fenced-in play area for toddlers to adventure golf and a splash pad with water related activities. Also includes sun loungers for parents to relax on, the waterpark and events arena. This fun family rail experience will have the kids entertained the whole way. Pack a picnic basket or enjoy a meal at one of the stations. Long and short excursions are available. Out of season the train does not run its usual schedule but all their information is available online. 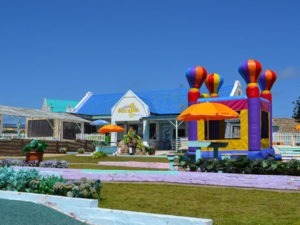 If you are wondering what to do with your kids in Mossel Bay while mom is shopping then this is a haven for all dads! With the slogan, ‘A world of fun’, you can expect just that! They offer a friendly and safe environment for all ages. 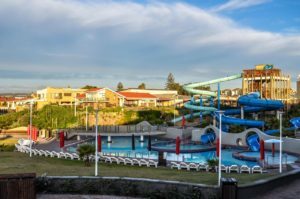 You will find the largest indoor jungle gym in the Garden Route, where kids aged 0-12 will have a blast. 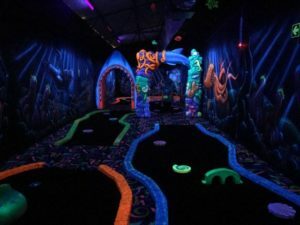 The older kids and adults can enjoy the blacklight putt-putt, arcade games, and pool tables. 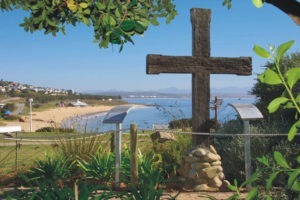 Blasters Mossel Bay is also a fully licensed family restaurant, with an excellent menu. Situated in Marsh Street in Mossel Bay`s old CBD. You may easily drive past the impressive iron gates and miss a true oasis in mid town. The Harry Giddy Park was first laid out as Victoria Park in the grand English manner in 1887. In the 1940’s it was extensively upgraded by Harry Giddy, after whom it was renamed. The historic gates at the southern entrance were erected in 1903 to commemorate the Jubilee of the reign of Queen Victoria of Britain. 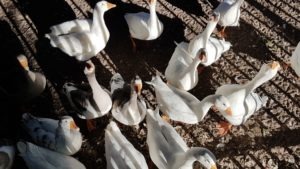 Today it is the perfect picnic spot with a water stream, touch farm, aviary and play park. 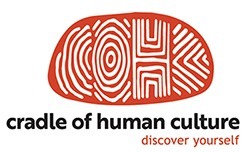 A museum by definition but plenty of fun for the younger ones. 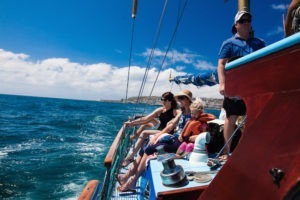 Home to the Dias Caravel, little ones can board this pirate looking vessel with great family photo opportunities. There is also a small aquarium and shell museum. Remember to post granny a postcard from the Old Post Office Tree. 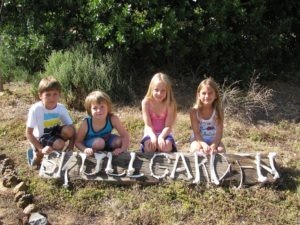 visiting the Skull Garden, reptile encounters and Cheetah tracking. Putt Putt … and while you are in the area, pop into The Sharl Lab to learn about how cool sharks actually are. There is a resident octopus that is super cool too. Take a trip to Seal Island, engage in an eco-safari or let mom & dad enjoy a sunset cruise. 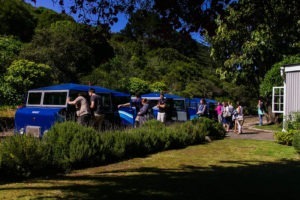 Perfect for boat based whale watching between June and October. Departs daily from the Harbour. The interaction with the elephants open up a new world of understanding for these clever animals. 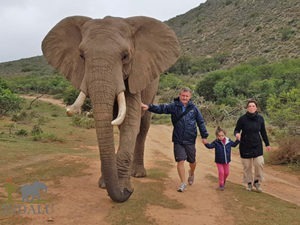 Visitors can enjoy a walk with them and are given the opportunity to touch and feed them a delicious snack bucket. An excellent and abundant seafood restaurant on the beach – the perfect place to spend some precious family time. The kids will love the quirky play area and mom will go bananas with her selfie stick! Definitely a bucket list activity! Klipheuwel Pastal is situated next to the N2 on the way to Botlierskop. This farm stall has a cosy restaurant and coffee shop with a small coffee bean roastery for your own taste of roasted coffee. The Padstal offers handmade jams, pickles, sauces, a gift shop and a hair salon for the local ladies. Their vegetables are locally sourced. 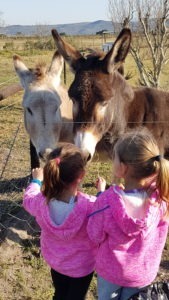 There is an awesome coffee shop, beer house, Boplaas tasting room, a pump track, play park as well as donkeys and alpacas to feed. This is a lekker place to enjoy with the kids & oldies. Our favourite holiday spot for the past 8 years! De Bakke Chalets ! 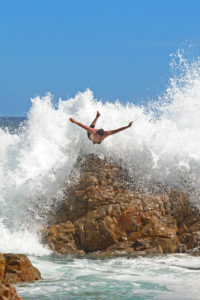 Hope to go on pension at Mosselbay one day!